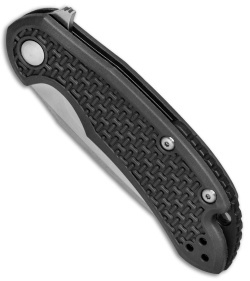 This Cutjack Mini model has a textured black FRN handle and a satin finished blade. The Cutjack Mini folding knife is the perfect multipurpose everyday carry knife as imagined by Steel Will Knives. 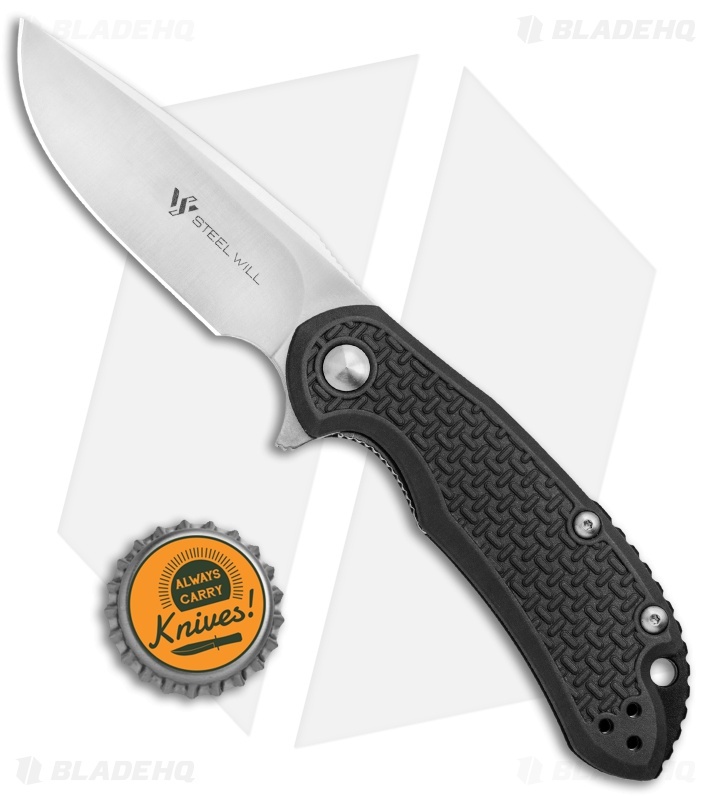 It features a combination of lightweight FRN handle scales paired with a durable D2 tool steel blade. Excellent handle ergonomics and a finger choil allow a comfortable and secure grip in multiple positions. Easy one-handed deployment is achieved quickly using the flipper and a light flick of the wrist. 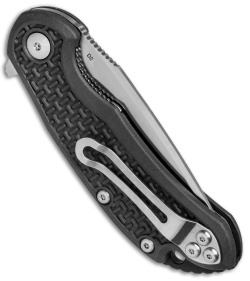 The Cutjack comes fitted with a reversible tip-up pocket clip. Love the ergos of this knife, action is a little slow but it's 38 bucks! D2 is good to go. Great budget knife. I wanted to love this knife but right out of the box the action came super stiff. I thought maybe after using it awhile it would get better but it didn't. So I resolved to take it apart, clean it, and lube it. Couldn't get all the screws off due to loctite or something and I don't have a soldering tool currently.. so I'm stuck with an even worse action until I can borrow a tool. While I'm sure it'll get taken care of in the end and be a fine knife, the hassle was annoying. Wow! For the money, this knife is outstanding. I also plan to get the large version when it's back in stock. Thanks Bladehq for shipping it fast. I wish there were more knives like this. 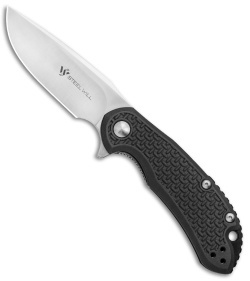 This knife should cost about 60-80 but it’s a very great deal for 40. Just need a little more maintenance on the D2 blade but other than that it’s a very smooth flipper and you get strong edge retention. The Cutjack is excellent. Design, Steel, Handle material, Clip, etc. are all good if not great. Then you see the price and it is mind boggling. This feels like a much more expensive knife than it is. Great job Steel Will. Just got this Cutjack today. The first thing I thought was "Did BladeHQ goof on the price?" This knife feels like a $60, or $70 knife, easily. Beautiful blade, good steel riding on bronze washers, all Torx fasteners that are nicely rounded. No sharp edges on the handle, nice early lock-up. From the photo, I thought the FRN scales would feel cheap, but no way, feels premium and solid. Aggressive enough to provide excellent grip, but not a pocket shredder. Perfect clip tension. An interesting point is that the blade stop is not visible, it's integrated into the handle on the non show side. Nice touch. The back spacer protrudes slightly, but is well rounded to not cause hot spots. I only have one small nit-pick, and that's the fact that the blade edge goes all the way up to the forward finger choil. I would like to see just a bit of non sharpened edge just forward of the choil. Not a deal breaker though. This knife has a lot going for it. If you're looking for a small and relatively light weight flipper that feels like a knife twice it's price, this is it.